The difference is a pretty big deal - at least for me. Using lime pieces and muddling themThis is definitely also an annoyance. I guess this bad practice happened, when some morons confused the Mojito with a caipirinha. All you need in a Mojito is fresh lime juice. Why don’t we muddle the mint or the lime? This might be a valid question... 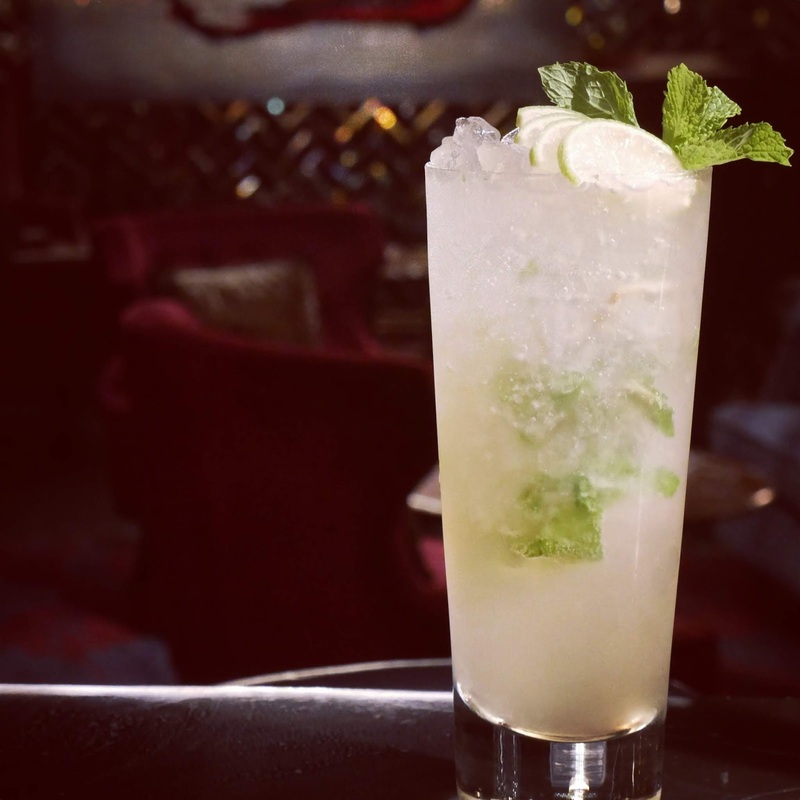 The Mojito is a rather subtle, refreshing drink. Muddling the mint, doesn’t only make it taste like swamp water, but also extract far more mint aroma, which isn’t a good thing. It isn’t a mint daiquiri. Against the suggestion of Dave Arnold I am also against using liquid nitrogen or a blender. Again - maybe the swamp aromas are less - but you make a mint “slush” out of it - and same applies with lime - you want to have the sourness and the subtle lime aromas - you don’t want to have a drink, which has extreme lime (oil) characteristics. Rum is far more subtle and elegant as cachaça (which pairs far better with rustic aromas). Add fruit into the drink (other than lime).Really? Are you drinking also your red wine with strawberries? And your white wine with passionfruit? Can people just respect an icon, without spraying graffiti all over it? The caipirinha is often consumed in its home country with different fruits (well some are made us and called Batidas). This is fine - due to above reasons. However leave the Mojito alone - PLEASE! At times it can be a good drink - however just don’t call it Mojito! Using just the leavesTaking off the leaves only increases the “manhandling” of the mint. It also doesn’t really make sense. Just make the Mojito with the whole stalks (stems and leaves) - maybe just slightly shortened (cosmetic reasons). It is more hygienic, quicker, looks better (mint leaves are tending to break down in crushed ice when stirring). Using fine crushed iceThere is nothing really wrong with using crushed ice. Obviously originally nobody had a crushed ice machine nor a commercial ice crusher in Cuba (and still they don’t have any consistent crushed ice). Hence the original ice in a Mojito is cracked ice. But crushed ice is doing just fine - just ensure, that the ice isn’t snow or anything really fine, which just dilutes the drink far too quickly. People who are using brown sugar in cocktails, own a very specific place in my heart (called the hell-corner). Brown sugar dissolves awfully slow and is just not made for cold drinks - the aromas are often just distracting and simply they don’t belong into a Mojito! Sugar syrup (simple syrup, rich syrup etc.) is eliminating the opportunity to “macerate” the mint - but also IMHO dilute the Mojito quite more. Sugar cane based fine caster sugar (baking sugar) is the perfect sugar. It isn’t even that expensive! No words really here. Nope - it is an absolute sin, to use a lemon-lime soda. If you want to defend yourself, just leave the bartender community and become... a useless consultant - or something like that. Are you drinking wine out of highballs? Or plastic cups? The Mojito has a bit carbonation - it deserves a highball / long drink glass - it is mandatory. I like good rums. Standard rums of Bacardi or Havana Club are neither brilliant - nor are they particularly making a good Mojito. If your pouring is one of the brands - fine. Just not insist, that it is a quality sign. Folks - I understand the current obsession with cocktail bitters. And some drinks are greatly benefitting from a few dashes of bitters. The Mojito isn’t one of them! I don’t mean, that you can’t make a drink with slightly muddled mint, using a Demerara rich syrup and a couple of dashes of bitters. The only objection I do have is calling it a Mojito. In fact it might be just a swizzle.